We received many requests to offer the Premium Body Oil in a 2oz Bulk Size. Perfect for when you need more than 1oz of a certain fragrance, but 4oz is too much. Great for personal use or keeping your business going! Q: Do these perfume oils need to be diluted ? A: All of our products aside from the MaxAroma and the Essential Oils are ready to wear on the skin as they are. 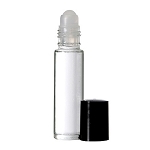 The Perfume Oils are made to the highest strength that can be worn on the skin. They can be diluted for preference, but they do not need to be. Q: Hi. I chose few fragrances , when I do add to cart it tells me to select requir options. What does it mean? A: Hello. This means that one of the quantity boxes next to a fragrance does not have a "0" or a number in it. If any box is blank, it will display this error message. For fragrances that you do not want, please make sure a zero is in the box. A: Thank you for your question. On our website, these terms mean the same thing. The Body Oil is made to the highest concentration that is safe to wear on the skin. The only items on our website that are not safe for use on the skin are the MaxAroma Burning Oils. The Essential Oils also must be diluted before use on the skin.